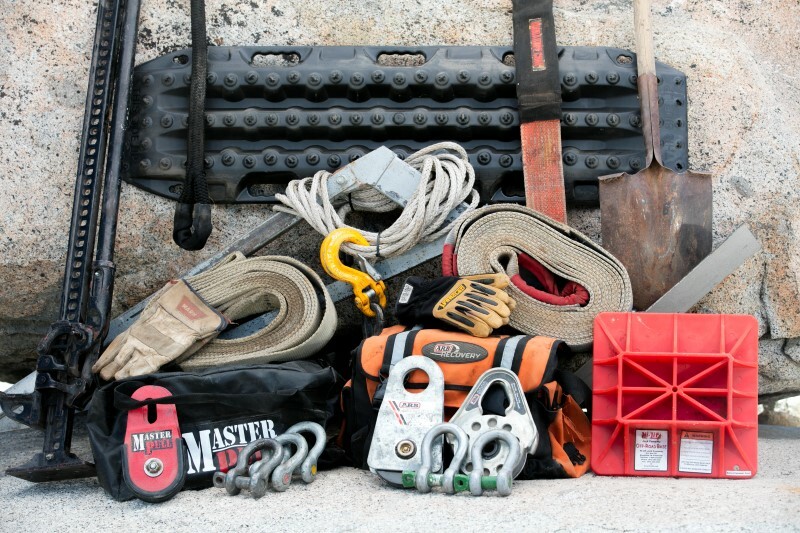 Chris Collard shares his three decades of backcountry breakdowns, and the tools and equipment needed to get you (and your vehicle) home alive. 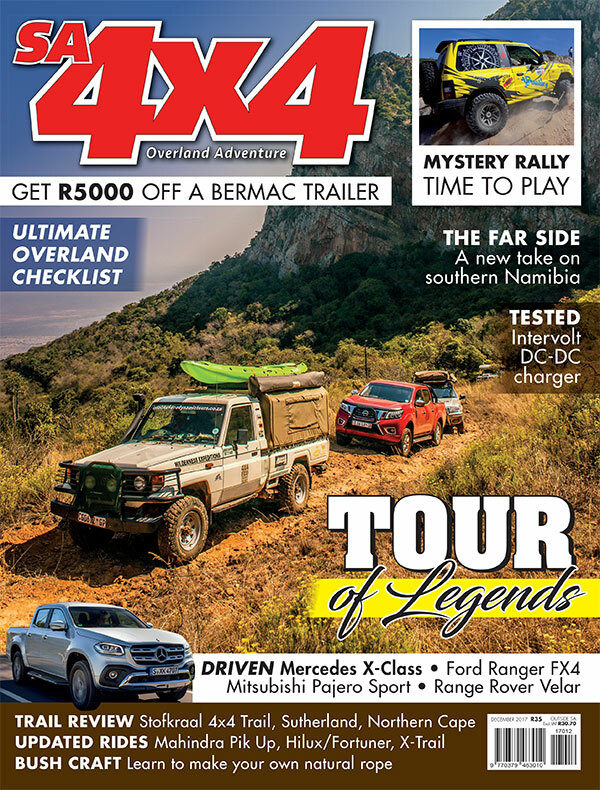 For Chris’ full insights, grab the December 2017 edition of SA4X4. If we sat around a campfire spinning yarns about our early exploits into the backcountry, my guess is that the memories, regardless of the details, have been filtered into blissful adventures. They were most likely simple affairs with a full complement of necessities: a cooler of coldies, sleeping bags, and camp chairs. I recall the first trip in my ’82 Hilux. My buddy Rich Currie and I blazed out of town one afternoon, bent on exploring a place called South Fork. The route, a muddy 6km trench, was a good distance from the tar and we had the place to ourselves. All was good until I buried the truck to its frame and realised the cooler lid made a poor digging implement. We survived, but the takeaway was that I should pack a shovel next time. During the next adventure, a friend became mired in axle-deep snow. I attempted to pull him out with an old rigging rope, which immediately broke. Another takeaway… I needed to buy a recovery strap. A year later, the radiator and fan of another friend’s Jeep did the tango. I watched as the “old guys” in my club resuscitated the radiator with needle-nose pliers and coarse-ground pepper. Yet more stuff to add to my toolbox: pliers and pepper. 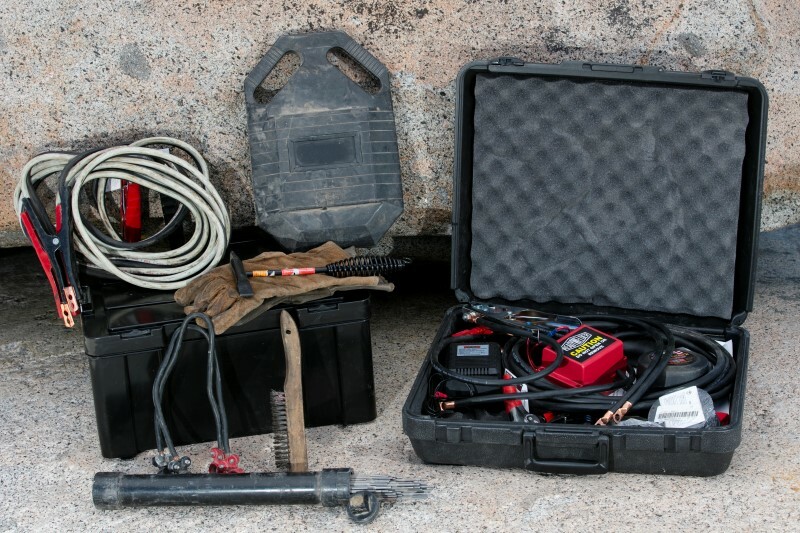 So, for this 4×4-skills instalment, we are diving headfirst into equipment; specifically, the tools, spare parts, recovery gear, and speciality items that might help you (and your rig) get home alive. When it comes to self-supported travel, developing a list of what items to bring and what to leave at home can be daunting. After 35 years of takeaways, I suggest crafting one around your personal style of travel. 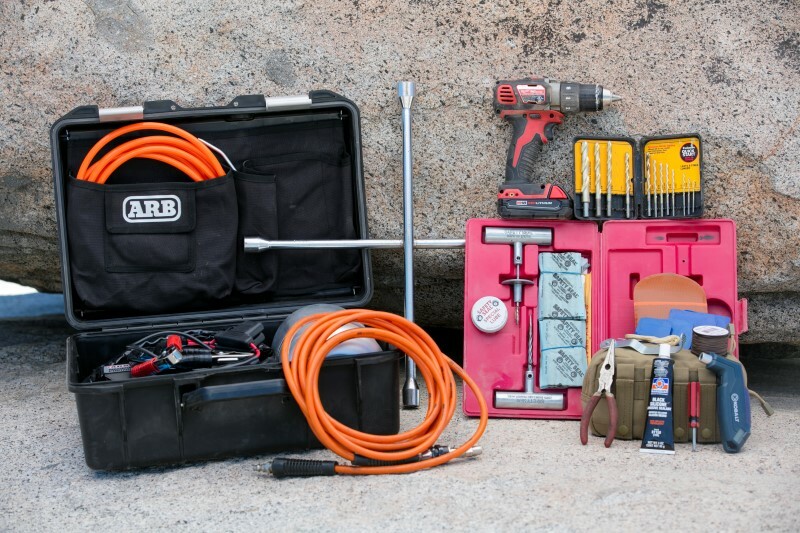 If you favour day trips and staying in campgrounds a short distance from services, a basic recovery kit and tools may be all you need. However, if you pine for the road less travelled and pitching your tent in the loneliest of locales, a detailed evaluation is in order. 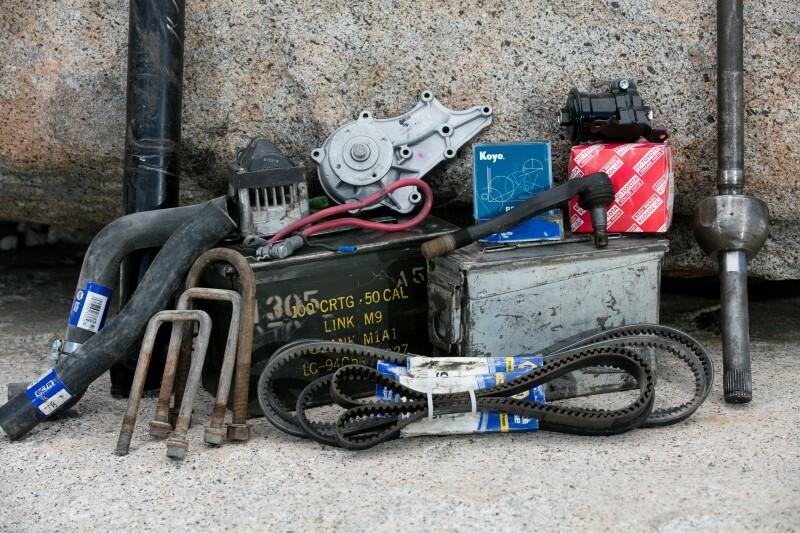 Things to consider should be the age and condition of your vehicle, your mechanical skills, and available storage space. 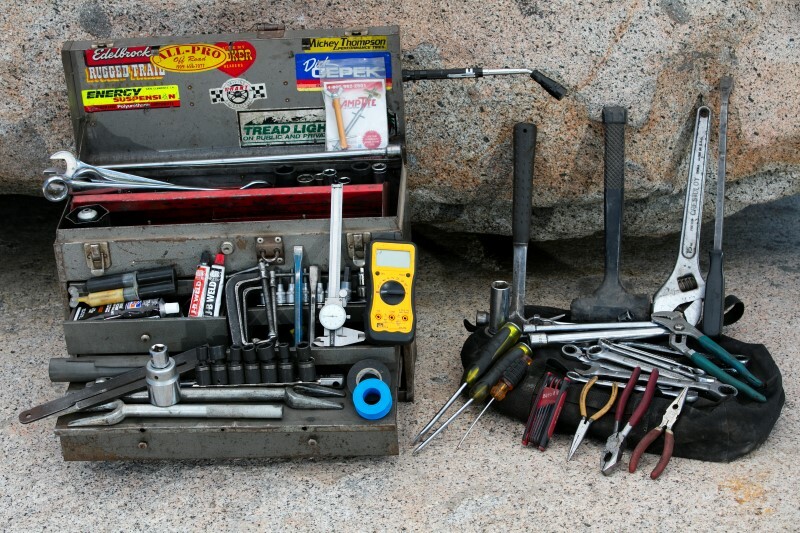 At the end of the day, packing your vehicle’s suitcase is akin to sorting out personal items for a big trip. 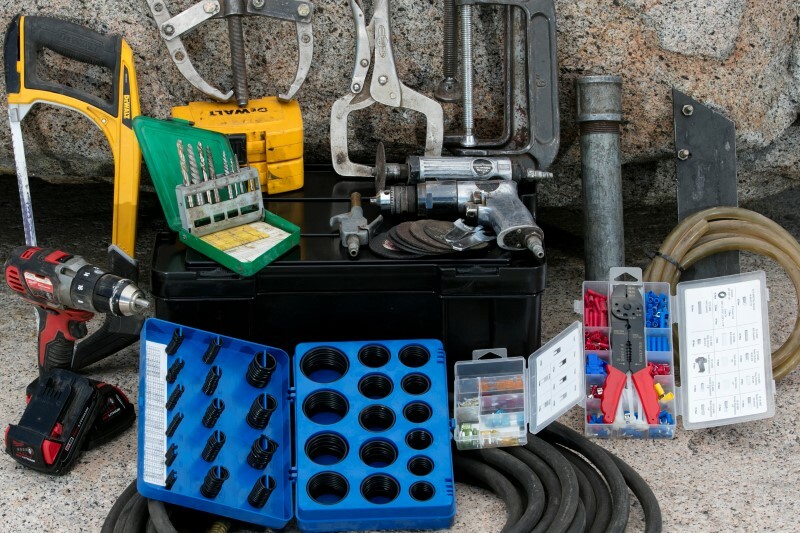 Lay out everything you think you will need, determine what will actually fit, prioritise, and cull the items at the bottom. 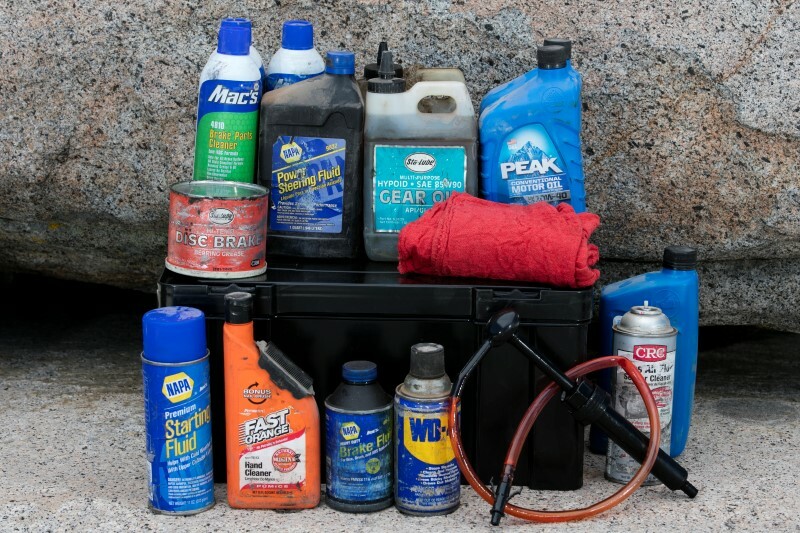 To simplify things, I’ve broken the process into several categories: recovery, tyre surgery, spares, standard and speciality tools, welding kit, fluids, and go-to overlanding gear. 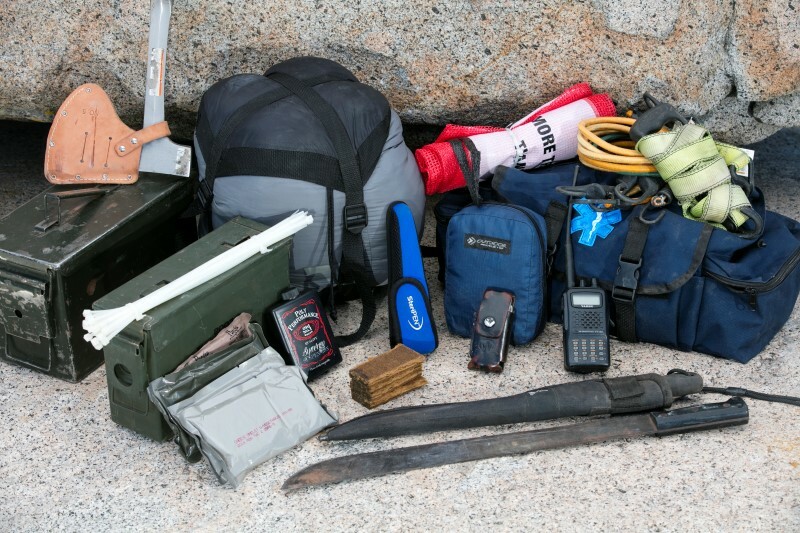 Don’t feel compelled to stuff everything on my list in your rig; simply use it as a guideline.